Sleeping Giant is dedicated to providing pertinent facts and the latest research and insight into the large and growing Asian Pacific American community. Sleeping Giant is produced by Imprenta Communications Group. The event, which will take place in San Gabriel on Thursday, will be the first in a series designed to “engage, energize and organize AAPI voters,” according to a statement by the campaign. Joining Clinton in San Gabriel will be “dozens” of Asian-American and Pacific Islander elected officials, like Rep. Judy Chu and local community leaders. The launch follows similar efforts by Clinton’s campaign to rally African-American and Latino voters behind their candidate. In October, at the colorful and music-filled launch of “Latinos for Hillary” in San Antonio, Clinton cast herself as the singular candidate ready to represent the unique needs of the Latino community, far beyond Election Day. But Clinton’s push to earn minority voters’ support has not been without its hiccups. 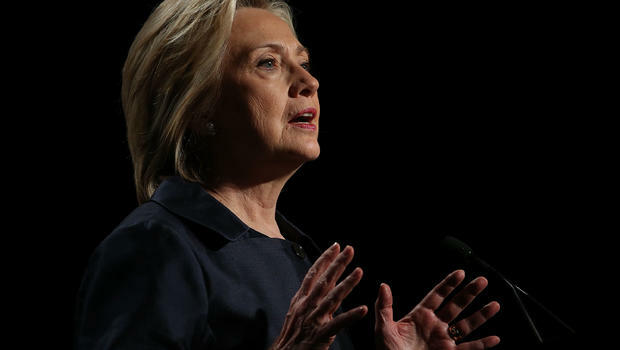 Critics took to social media recently to blast a blog post on Clinton’s campaign website that compared the Democratic front-runner to “your abeula,” or grandmother. Some young Hispanics, using the hashtag #NotMyAbuela, accused her of pandering. During her two-day swing through California, which is scheduled between back-to-back trips to early primary states, Clinton will attend six fundraisers in San Gabriel, Los Angeles and San Francisco. This entry was posted on Tuesday, January 5th, 2016 at 1:54 AM and is filed under Culture, ISSUES, Politics. Sleeping Giant is produced by Imprenta Communications Group, a California-based, award-winning public affairs, ethnic marketing, and campaign firm which specializes in reaching California's diverse audiences. Imprenta was founded in 2001 by Ronald W. Wong, a political and communications strategist with more than 30 years of experience in marketing and political campaigns targeting Asian Pacific and Latino Americans. Ron has worked for Fortune 500 companies, served as Chief Deputy Appointments Secretary to Governor Gray Davis and in President Bill Clinton's Administration at the U.S. Department of Justice, Community Relations Services. Imprenta was recently awarded the 2013 Asian Business Advocacy Award from the Los Angeles Business Journal, citing the company's "radical success and growth." We develop and execute campaigns for Fortune 500 companies, candidates, causes, and initiatives that demand and expect to win. For the past 15 years, Imprenta has delivered measurable and quantifiable results for regulated companies, utilities, telecommunications, health care corporations, Foundations, major ballot initiatives, candidates for elected office, and public education campaigns for government entities. Imprenta specializes in reaching diverse underserved communities -- we understand the cultural and linguistic nuances that exist throughout our state. "Imprenta will go above and beyond to win for its clients. As our nation becomes more and more diverse, ethnic communities, consumers and voters will be critical to anyone interested in shaping public opinion, running for office, or marketing goods and services. We speak the language of America."